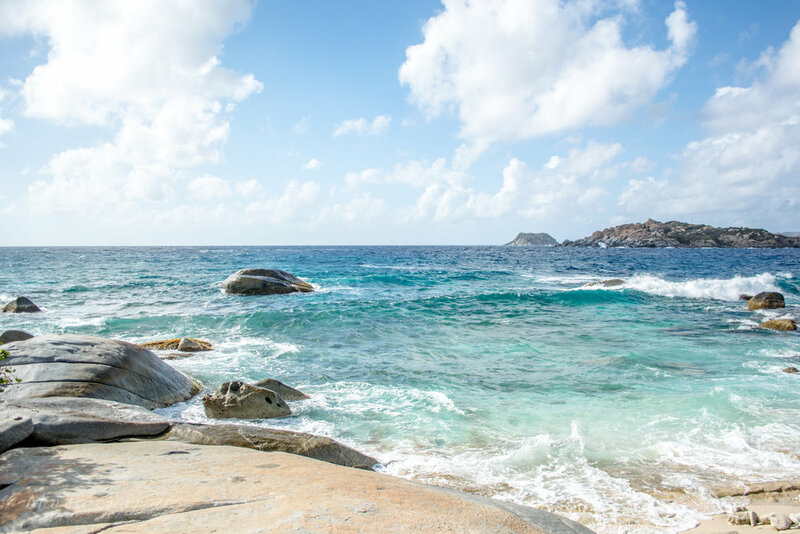 Without a doubt the most famous attraction of Virgin Gorda is The Baths: a collection of enormous boulders where you can crawl, swim and climb. Virgin Gorda’s geological features come from volcanic activity. A volcanic crater forms The Valley, where Spanish Town sits, and the island’s iconic caverns have lava to thank too. When molten volcanic rock cooled just off the coast, it formed the gigantic granite boulders now known as The Baths. You can climb the boulders using rails and ropes, to reach the remote Devil’s Bay on the other side or just use the trail from The Top of the Baths. In Virgin Gorda you will find several secluded beaches with soft, silky white sand surrounded by colorful reefs bursting with marine life. This is the less secluded beach in Virgin Gorda due to the Jumbies Bar, The Restaurant, Blue Rush Water-sports, Michael Beans, the stores and the pool. You will meet people, have a great time, enjoy delicious drinks by the beach and food too! ...is your dream Caribbean beach come true. Quiet, remote, clean and pristine. The water is crystal clear and shallow. The snorkeling is amazing, turtles, squids, corals, and Caribbean fish to discover. Established in 1964 as a National Park, Devil’s Bay is one of Virgin Gorda's most beautiful beaches. You can access to this beach from the water or on foot. The trail is a 15 minute hike through dry scrub vegetation and boulders from the car park at the Top of the Baths. A second trail at the eastern end leads visitors to The Baths through massive granite boulders, where hikers should be prepared to crawl, climb ladders and wade through water. Caution must be used at all times to avoid slipping or failing. You can swim and snorkeling, or just relax on the silky beach. Admission $3. This iconic place should be on everyone’s list on essential things to do when visiting the BVI. Established in 1990 as a National Park these famous boulders formations have become the signature of Virgin Gorda. The area is great for swimming, snorkeling and climbing. You can arrive by boat, swimming from Spring Bay or Trunk Bay or just through the trail from the Top of the Baths. Once there, you’ll find secluded sea pools separated by towering granite rock filled with crystal clear water. Admission $3. At the southern end of Devil’s Bay there is a trail to Stoney Bay, where the Atlantic swells meet the coastline creating a picturesque and wild scenario. Admission $3. This dreamy beach is perfect for snorkeling, chilling at the beach and the ideal spot for a beach bbq. You can bring your food to cook there ( there is also a large outside grill) and have the perfect beach day, but remember: leave only footprints! Keep Virgin Gorda crystal clean like its waters! You won't find any road access here as the beach is directly adjacent to private property. 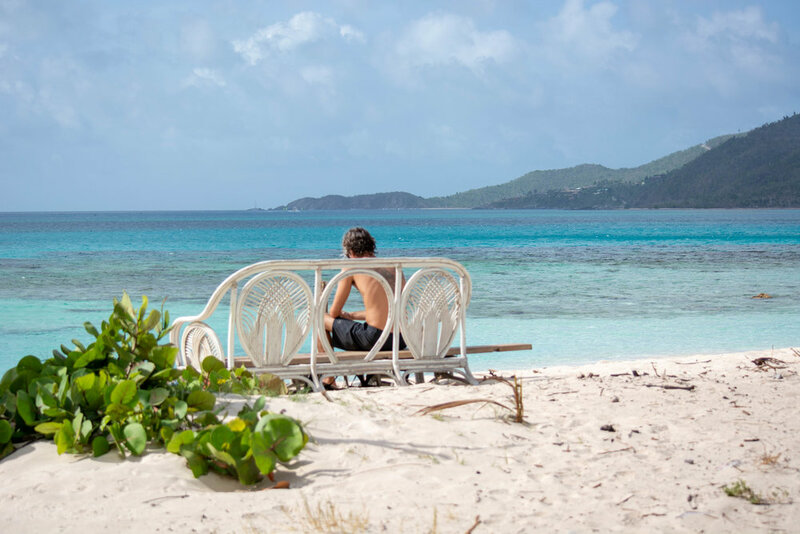 The easiest way to get there is trough a trail that is accessible from the north end of Spring Bay Beach or the southern end of Big Trunk Bay aka Valley Trunk Bay. Sailors can get there by sea without trouble. Just anchor in Spring Bay and snorkel around if sea conditions permit. Otherwise, swim to shore and take the footpath from Spring Bay. This is a spectacular white sandy beach, bordered by a private estate and vegetation, its palms were swept away due to hurricane Irma. It can only be accessed on foot by a path from Spring Bay or by boat. This is a nice beach perfect for families and children. You can enjoy it at Fischer's Cove and on the other side of the anchorage at St. Thomas Bay, right beside the ferry dock. This amazing beach is non open for the public. Rosewood Little Dix Bay is currently closed following the aftermath of Hurricane Irma passing through the British Virgin Islands in September 2017. Although Rosewood Little Dix Bay was closed and under renovation, the resort did sustain significant damage. We now anticipate the resort will re-open late 2019, although the resort currently remains closed for all future reservations. Remote, white sandy beach in a picturesque cove with blue water and access to water sports. This beach is protected by a colorful reef, ideal for snorkeling. It’s perfect to rent a beachfront villa and enjoy the most amazing vacation! This is the ideal beach for sailors looking for seclusion and a stunning place to spend a lovely afternoon sunning and swimming. It’s safe for children, very secluded, very shallow, the only way to walk in is via a trail that ends in a salt pond. Locals keep the trail clean and accesible for people. Amazing snorkeling! This beach is very secluded surrounded by luxury villas, lots of privacy, and great views. Prickly Pear is an uninhabited island of the British Virgin Islands. Situated on the North Sound of Virgin Gorda, this 243-acre island was declared a National Park in 1988. This gorgeous island offers excellent conditions for swimming and snorkeling. Hiking enthusiasts can explore a hiking trail that leads from the Sand Box Bar, over a gentle slope, down to the North Beach. They are temporarily closed under renovation, but you can always enjoy its gorgeous beaches. Will keep you updated with more news! The resort is closed for now but you can always enjoy its gorgeous beach. You will find lots of turtles, baby sharks, barracudas and sting rays.